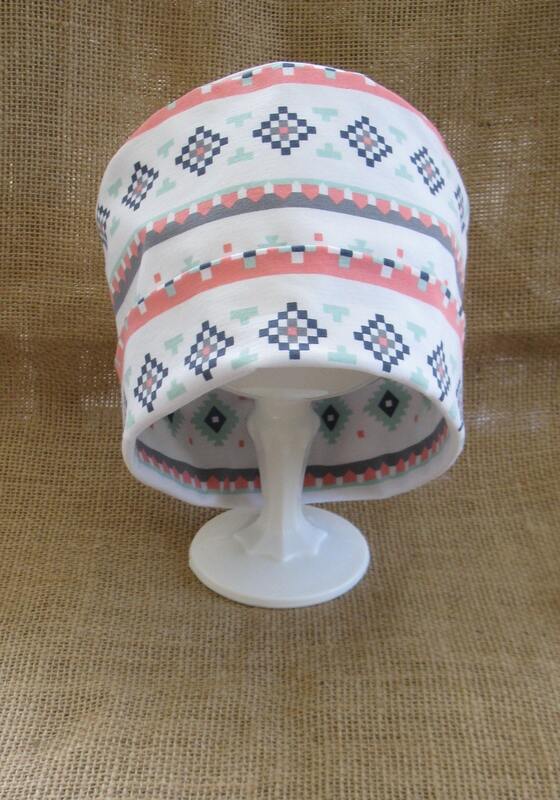 Chemo Cap in gorgeous colors made from Art Gallery fabric. This versatile hat can be worn 4 ways, rolled, bunched, slouched and pulled down over your eyes when all you want to do is sleep. 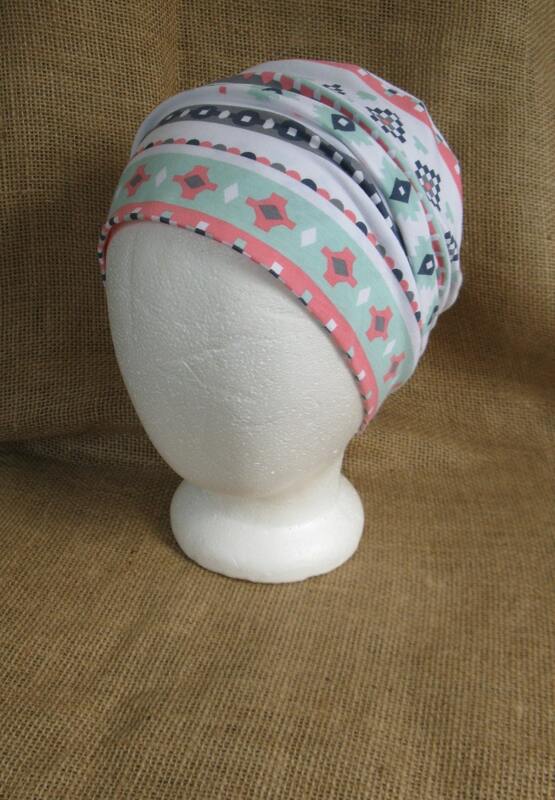 A cotton stretchy hat that's comfy enough for those undergoing chemotherapy treatment. A great fitting hat that looks great too. This great fitting hat that has an adjustable roll for your most comfortable fit. Two seams with no exposed threads for minimal irritation. Handmade from high quality new Cotton Lycra Jersey material cut right from the bolt. 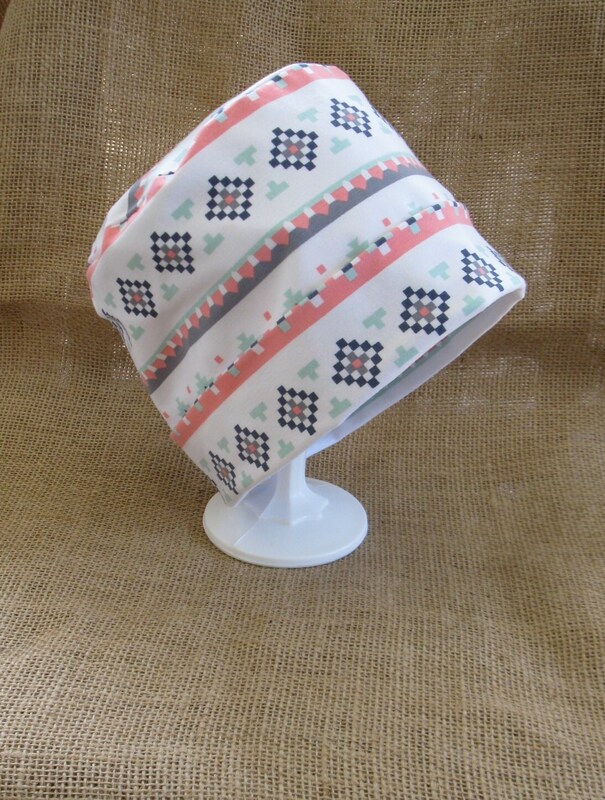 This hat is made from a pattern I designed which takes advantage of the qualities intrinsic to the fabric. This hat is stretchy and will fit head sizes 20 to 23 inches. Very nice quality and great service! The extra gift was a nice gesture too! Thank you! The perfect hat for any chemo patient! The colors were cute and the design prevented unnecessary itching! Thank you so much!! This item and matching headband are quite nice. Thank you so very much for including a headband. That was so kind of you. Highly recommend. This makes the fight a little easier.